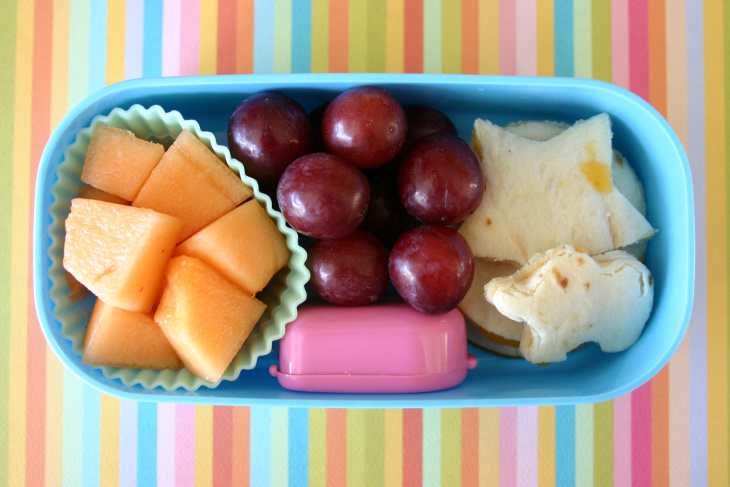 Lots of 4-year-olds in Los Angeles County are going to preschool. Seventy-one percent are enrolled in a licensed center or school setting for a least half of the day. But access to those programs varies wildly in L.A. County and across the state. 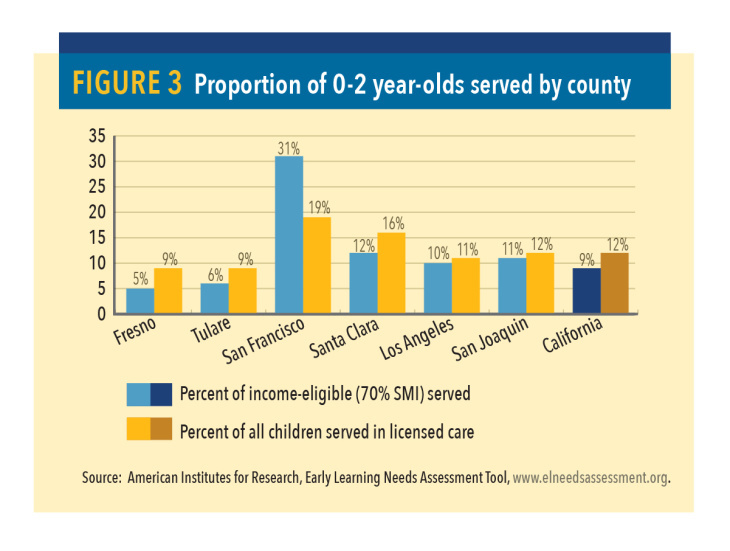 That's according to a new analysis from the University of California, Berkeley, and the American Institutes for Research (AIR), which breaks down pre-k access county by county. "These numbers so underscore how much more we have to do," said Kim Pattillo Brownson, vice president of policy and strategy for the advocacy group First 5 LA. Decades of research show the benefits that early learning can have on on brain development and school readiness, about how investments in early childhood can safe costs down the line. The report includes some maps and graphs that tell us a lot. Here's a map that looks at how many 3- and 4-year-olds are in some type of licensed preschool setting or transitional kindergarten (the grade school districts offer before kindergarten) for at least part of the day. You're seeing a lot of different shades of green here because enrollment is all over the place. 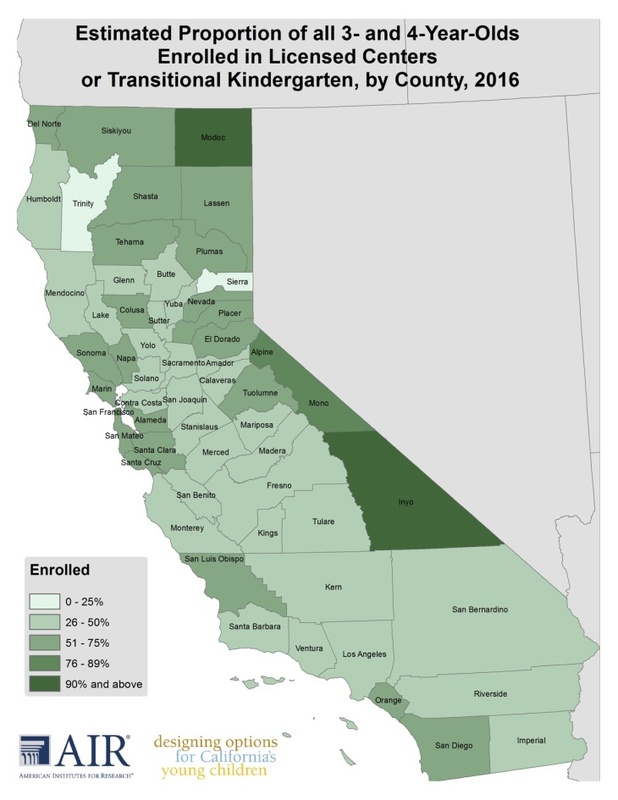 Those dark green clusters along the coast represent areas where 90 percent or more of preschoolers are enrolled. "It seems like probably the parents who are there have the means to put their children in high quality preschool programs and as a result there probably are a lot of private preschool programs in that area," said study co-author Karen Manship, principal researcher at AIR based in San Mateo. In the areas that are lighter green, it's likely that more children are being taken care of by their parents or other family members. More than three-quarters of 4-year-olds from low-income families now attend a center. That's in large part to programs like transitional kindergarten, which are offered for free through the school system. We see even wider variety when we look at the state as a whole. Two-thirds of California's 4-year-olds attend a licensed early care and education program, as of 2016. That's higher than enrollment in states like Georgia (62 percent) and inching closer to Oklahoma, which has the highest pre-K enrollment of any state (84 percent). "The catch is that a lot of [California parents] are paying for it," said Manship. Many parents are paying out of pocket, unlike with Georgia's publicly funded pre-k program. In some of those dark green areas, like Mono and Inyo counties, there just aren't many children there. In other counties with high enrollment, like San Diego and some Bay Area counties, there's been more advocacy and investment over the decades. "There's no method behind the madness," said study co-author Bruce Fuller, professor of education and public policy at UC Berkeley. "It's just very locally driven in terms of who is on the ground in which counties to pull money from Sacramento." The state is meeting the needs of a large number of low-income families. Almost 70 percent of children from low-income families gained access to local centers. In L.A. County, 77 percent of 4-year-olds from families who meet the income requirements are served. But many of these programs are only part-day. The report also looks ahead to how child populations are expected to grow in the future. The problem going forward is that child populations in the big cities are on the decline. People in cities aren't having as many babies anymore and the number of children aged zero to five is on the decline statewide. And families are moving to areas that are already short on preschool supply. So the need will go up. In areas like the Central Valley, where there are already shortages of slots, more families are heading there and the child population is on the rise. "Whereas in Los Angeles and the Bay Area, there are fewer and fewer children, but there's more supply," said Manship. As anyone who has recently tried to find a spot for their baby knows, there is a massive shortage of care for infants and toddlers. Just 11 percent in Los Angeles County are in licensed care settings. Statewide, 1 in 8 families can find a licensed center to provide care. "There [are] such low rates of opportunity for families who should be at the point in their lives where they are welcoming a new child in their family and should be in a space of joy and expectation but are instead met with scarcity and opportunity deserts," said Pattillo Brownson. Like most studies on preschool enrollment, this one doesn't look at the quality of the programs the kids are in. So even for the kids getting care, it might not all be safe and good. Researchers say that since there are strong supporters of early childhood in the legislature, they hope to work with policymakers to even out the gaps going forward.